This is the desert version of the squadron patch for the HSC-2 "Fleet Angels". They are a helicopter squadron of the United States Navy based at Naval Station Norfolk operating the Sikorsky MH-60S Knighthawk. The Fleet Angels are a Fleet Replacement Squadron providing trained MH-60S crew to units on the East Coast. 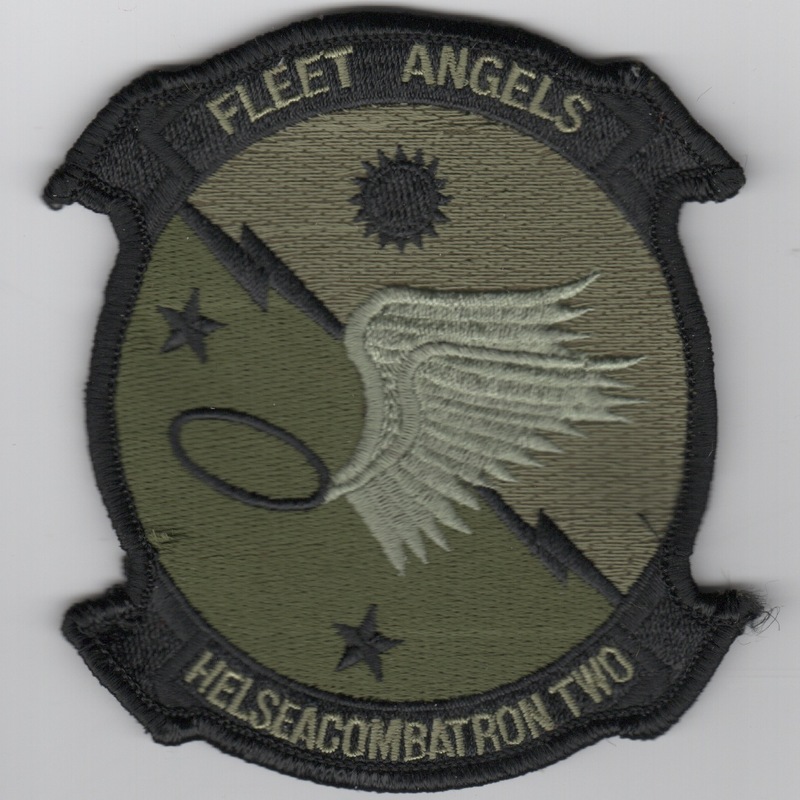 This is the subdued version of the squadron patch for the HSC-2 "Fleet Angels". They are a helicopter squadron of the United States Navy based at Naval Station Norfolk operating the Sikorsky MH-60S Knighthawk. The Fleet Angels are a Fleet Replacement Squadron providing trained MH-60S crew to units on the East Coast. 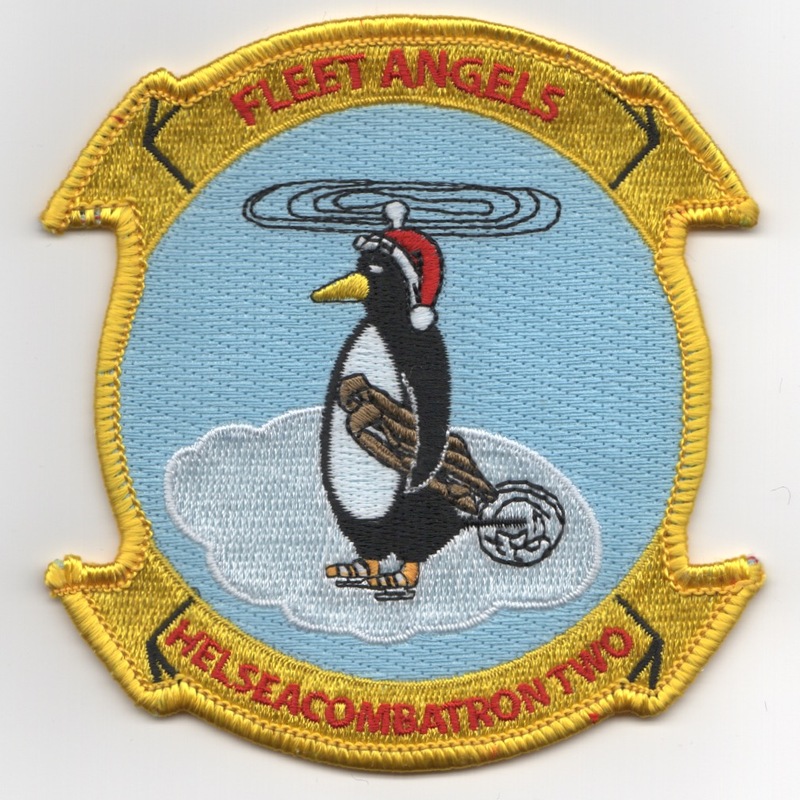 This is the "PENGUIN-ON-A-CLOUD" version of the squadron patch for the HSC-2 "Fleet Angels". They are a helicopter squadron of the United States Navy based at Naval Station Norfolk operating the Sikorsky MH-60S Knighthawk. The Fleet Angels are a Fleet Replacement Squadron providing trained MH-60S crew to units on the East Coast. This patch does not come with velcro attached. 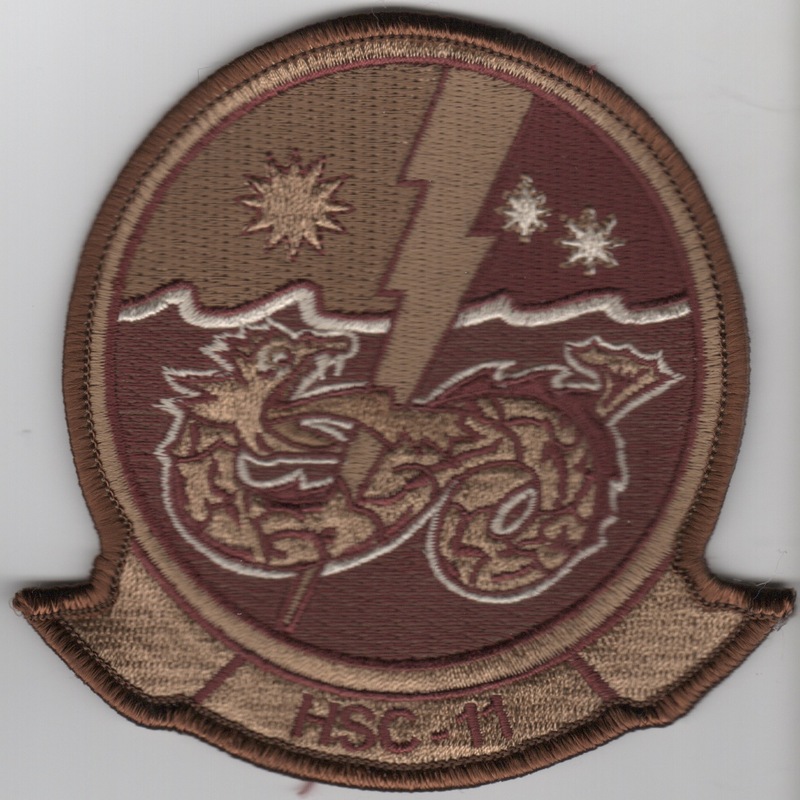 This is the gray version of the class patch for Class 16-03 that was trained by HSC-2 "Fleet Angels". They are a helicopter squadron of the United States Navy based at Naval Station Norfolk operating the Sikorsky MH-60S Knighthawk. The Fleet Angels are a Fleet Replacement Squadron providing trained MH-60S crew to units on the East Coast. 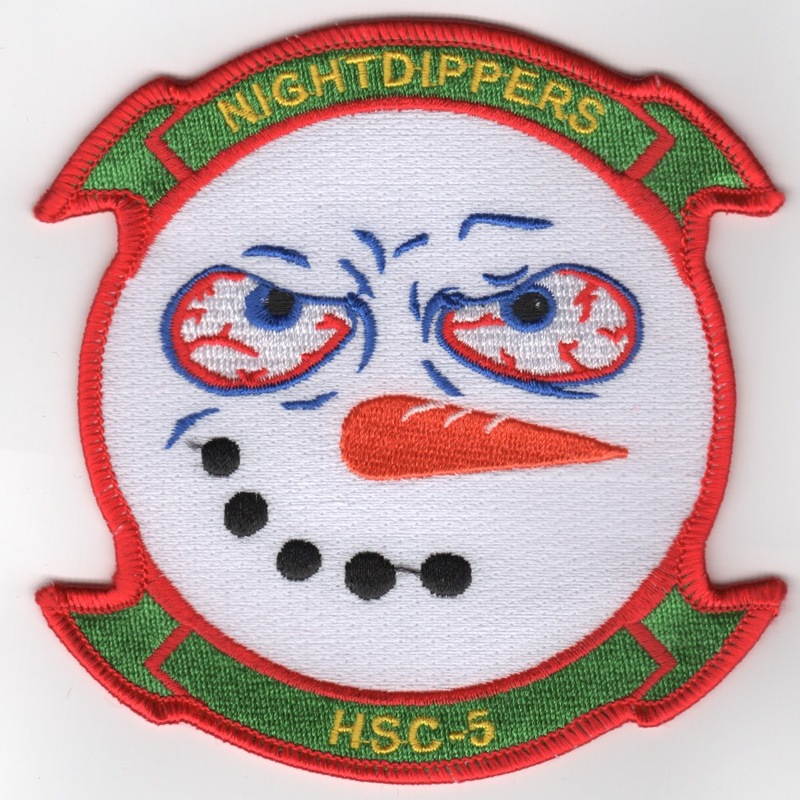 This is the 'SNOWMAN' version of the HSC-5 'NIGHTDIPPERS' deployment patch. They were deployed over the holidays, so the snowman with the carrot-nose was created for their disdain for being gone from family members during the 'most wonderful time of the year'. This patch does not have velcro attached. Helicopter Sea Combat Squadron FIVE (HSC-5) (previously Helicopter Anti-Submarine Squadron FIVE (HS-5)), also known as the 'Nightdippers', is a helicopter squadron of the US Navy based at Naval Station Norfolk operating the Sikorsky MH-60S Seahawk. The Nightdippers are (2018-2019) currently part of Carrier Air Wing Seven (CVW-7) and deploy aboard USS�Harry S. Truman�(CVN-75) to provide anti-surface warfare (ASW), search and rescue (SAR), vertical replenishment (VERTREP), Combat Search and Rescue (CSAR) and Naval Special Warfare Support capabilities to the Carrier Strike Group. 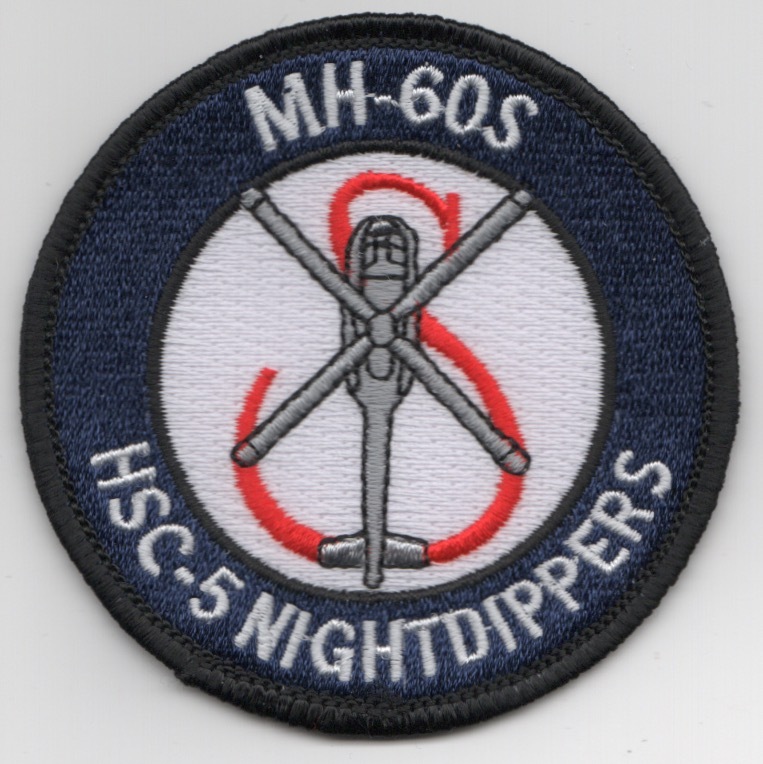 This is the blue 'bullet' version of their MH-60S aircraft patch and does not have velcro attached. 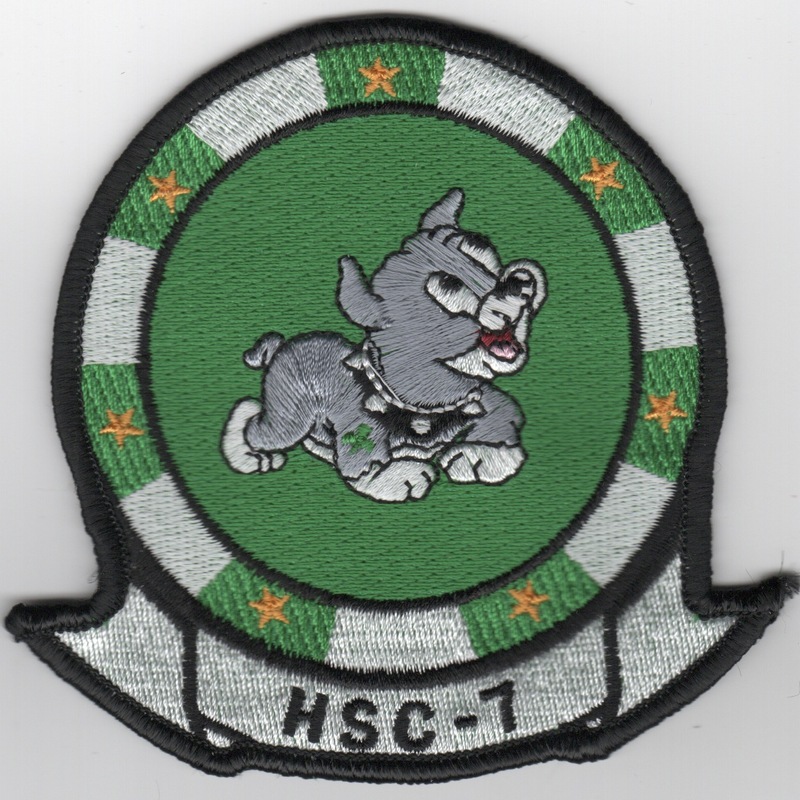 This is the green-colored version of the HSC-7 "Puppy" patch. HSC-7 Helicopter Sea Combat Squadron Seven, also known as the "Dusty Dogs", is a United States Navy helicopter squadron located at Naval Station Norfolk, VA. The Dusty Dogs are (CAO Feb 2016) attached to Carrier Air Wing Three and deploy aboard the aircraft carrier USS�Dwight D. Eisenhower. 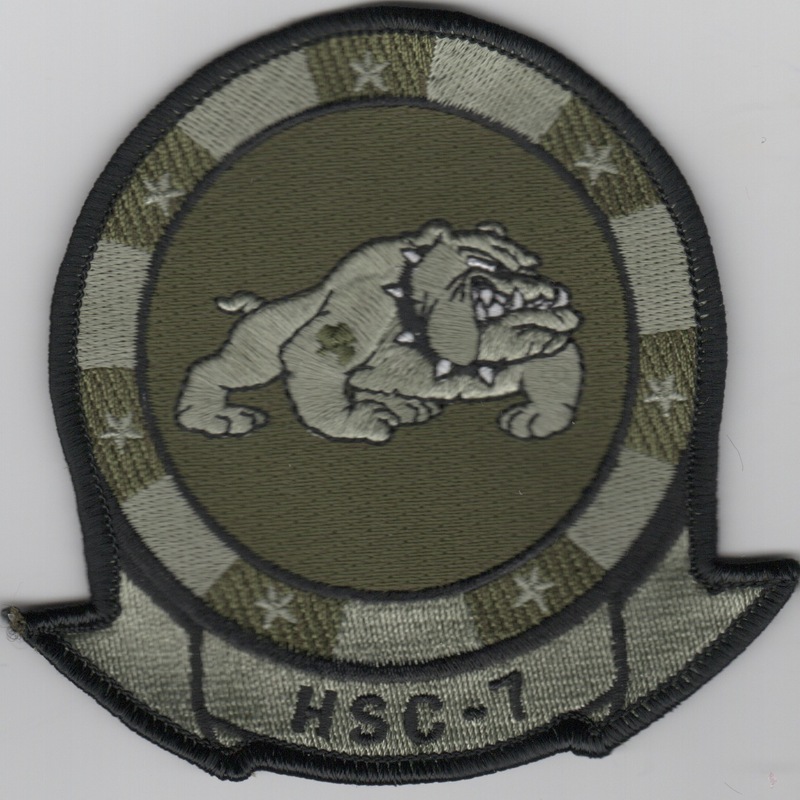 This is the subdued version of the HSC-7 "Puppy" patch. HSC-7 Helicopter Sea Combat Squadron Seven, also known as the "Dusty Dogs", is a United States Navy helicopter squadron located at Naval Station Norfolk, VA. The Dusty Dogs are (CAO Feb 2016) attached to Carrier Air Wing Three and deploy aboard the aircraft carrier USS�Dwight D. Eisenhower. 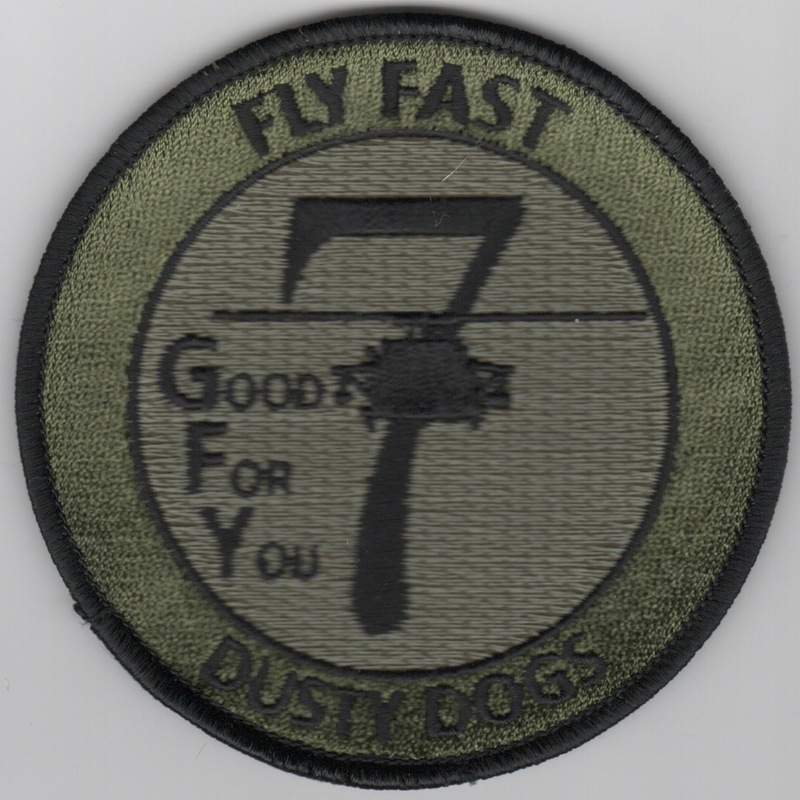 This is the subdued version of the HSC-7 "Fly Fast" patch and says "Good For You". HSC-7 Helicopter Sea Combat Squadron Seven, also known as the "Dusty Dogs", is a United States Navy helicopter squadron located at Naval Station Norfolk, VA. The Dusty Dogs are (CAO Feb 2016) attached to Carrier Air Wing Three and deploy aboard the aircraft carrier USS�Dwight D. Eisenhower. 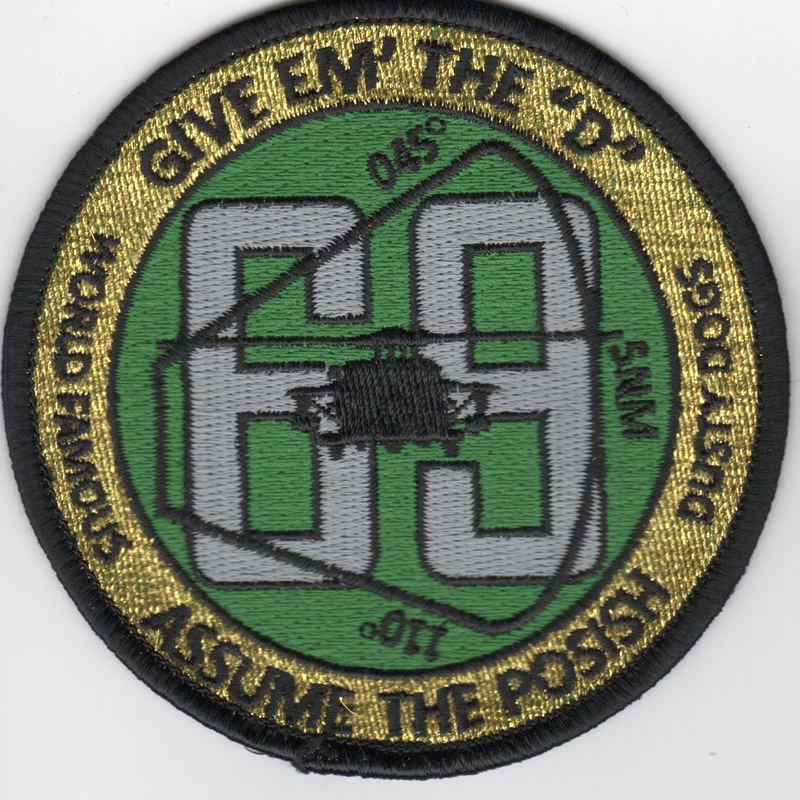 This is one of the patches created by HSC-7 that says "Give Em The D" at the top, "69" in the middle, and "Assume the Posish" along the bottom. HSC-7 Helicopter Sea Combat Squadron Seven, also known as the "Dusty Dogs", is a United States Navy helicopter squadron located at Naval Station Norfolk, VA. The Dusty Dogs are (CAO Feb 2016) attached to Carrier Air Wing Three and deploy aboard the aircraft carrier USS�Dwight D. Eisenhower. 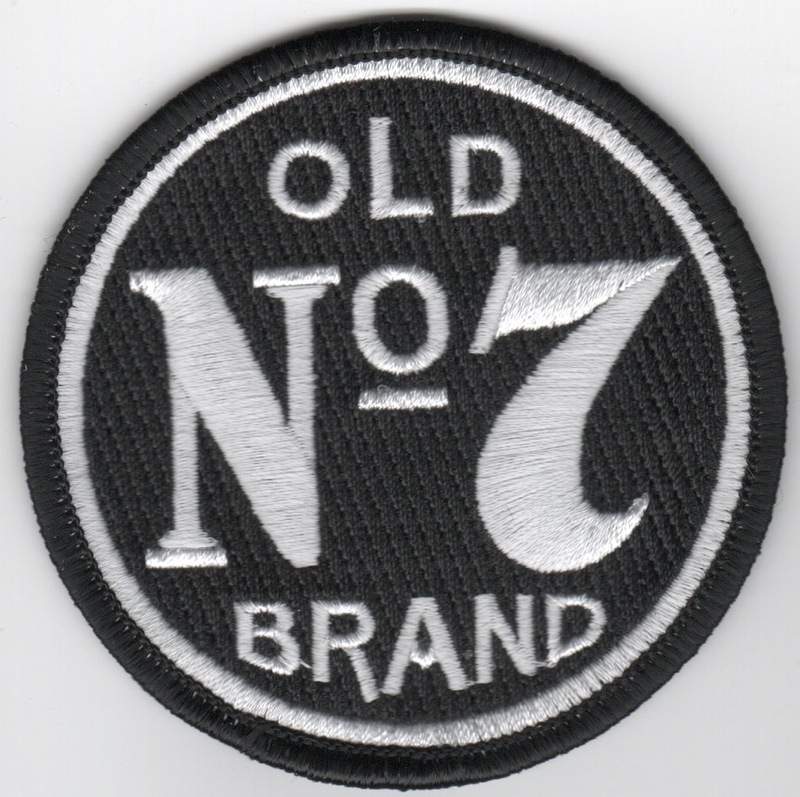 This is one of the patches created by HSC-7 that says "OLD No. 7 BRAND". HSC-7 Helicopter Sea Combat Squadron Seven, also known as the "Dusty Dogs", is a United States Navy helicopter squadron located at Naval Station Norfolk, VA. The Dusty Dogs are (CAO Feb 2016) attached to Carrier Air Wing Three and deploy aboard the aircraft carrier USS�Dwight D. Eisenhower. 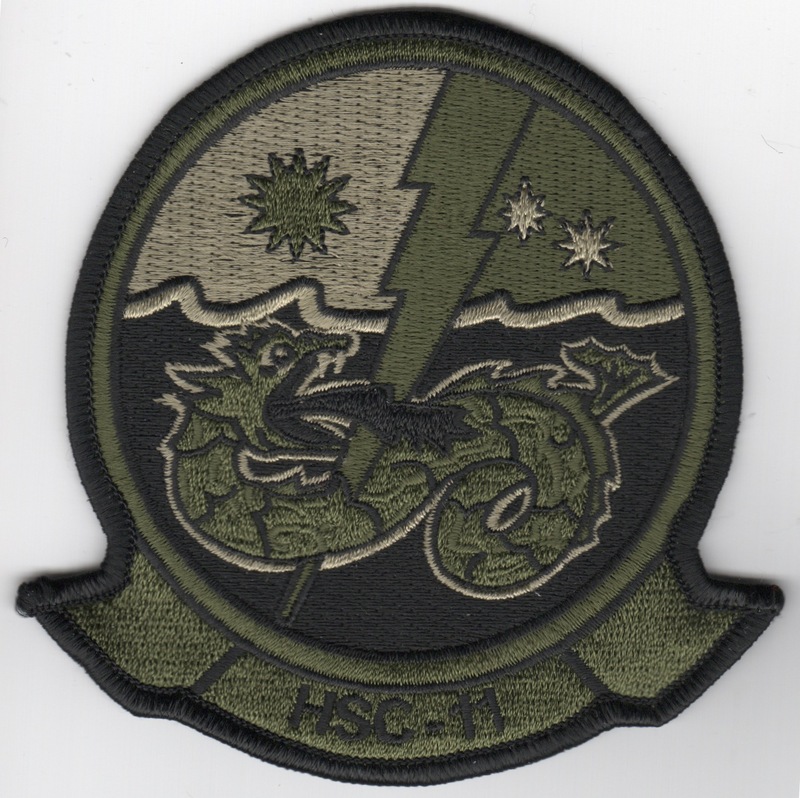 This is one of the patches created by HSC-7 that says "007". HSC-7 Helicopter Sea Combat Squadron Seven, also known as the "Dusty Dogs", is a United States Navy helicopter squadron located at Naval Station Norfolk, VA. The Dusty Dogs are (CAO Feb 2016) attached to Carrier Air Wing Three and deploy aboard the aircraft carrier USS�Dwight D. Eisenhower. 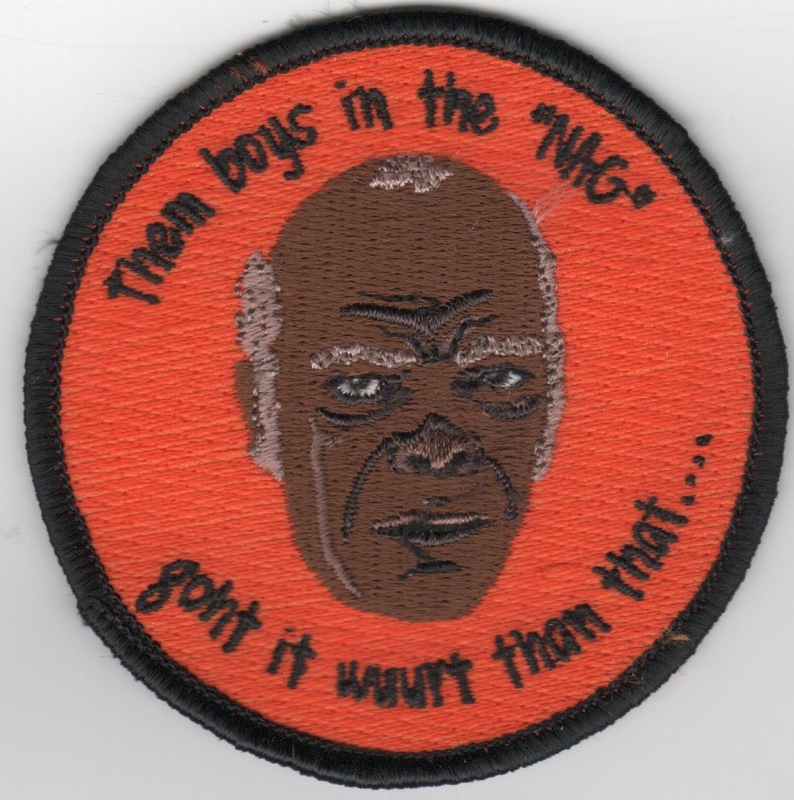 This is one of the patches created by HSC-7 that says "Them Boys in the NAG" (top) and "goht it wuurt than that...." (bottom). HSC-7 Helicopter Sea Combat Squadron Seven, also known as the "Dusty Dogs", is a United States Navy helicopter squadron located at Naval Station Norfolk, VA. The Dusty Dogs are (CAO Feb 2016) attached to Carrier Air Wing Three and deploy aboard the aircraft carrier USS�Dwight D. Eisenhower. This patch does not have velcro attached. This is the "CHRISTMAS-Wreath" version of the squadron patch created by them to commemorate the holidays. This patch does not have velcro attached. 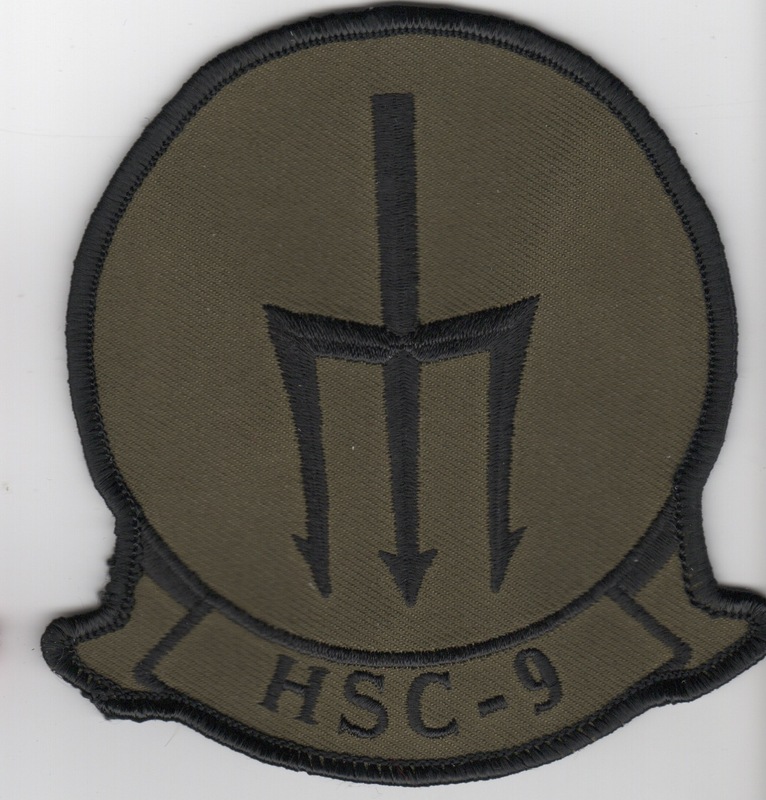 This is the subdued version of the HSC-8 Ballers patch. It shows a spider in the middle of a giant web holding ordinance that it has for a target. HSC-9 is a United States Navy helicopter squadron based at Naval Air Station Norfolk, Norfolk, Virginia. They are attached to Carrier Air Wing Eight and deploys aboard USS�George H.W. Bush�(CVN-77). HSC-9 was redesignated from HS-3 on 1 June 2009. This is the black version of their squadron patch showing the "Trident" and does not come with velcro attached. HSC-9 is a United States Navy helicopter squadron based at Naval Air Station Norfolk, Norfolk, Virginia. They are attached to Carrier Air Wing Eight and deploys aboard USS�George H.W. Bush�(CVN-77). HSC-9 was redesignated from HS-3 on 1 June 2009. 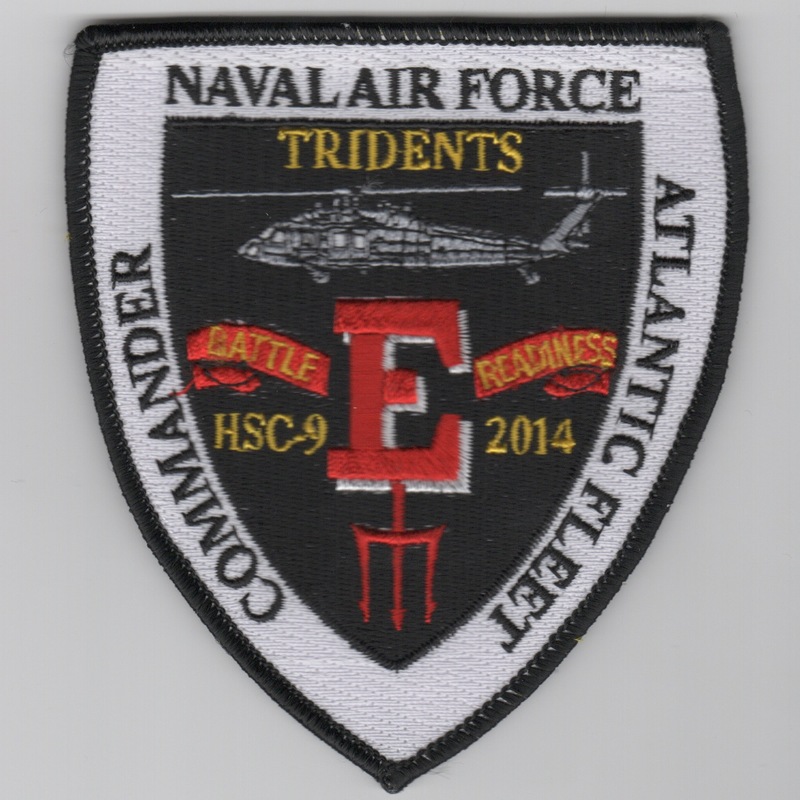 This is the subdued version of their squadron patch showing the "Trident" and does not come with velcro attached. HSC-9 is a US Navy helicopter squadron based at NAS Norfolk, VA. They are currently (2018-2019) attached to Carrier Air Wing Eight (CVW-8) and deploys aboard USS�George H.W. Bush�(CVN-77). HSC-9 was redesignated from HS-3 on 1 June 2009. 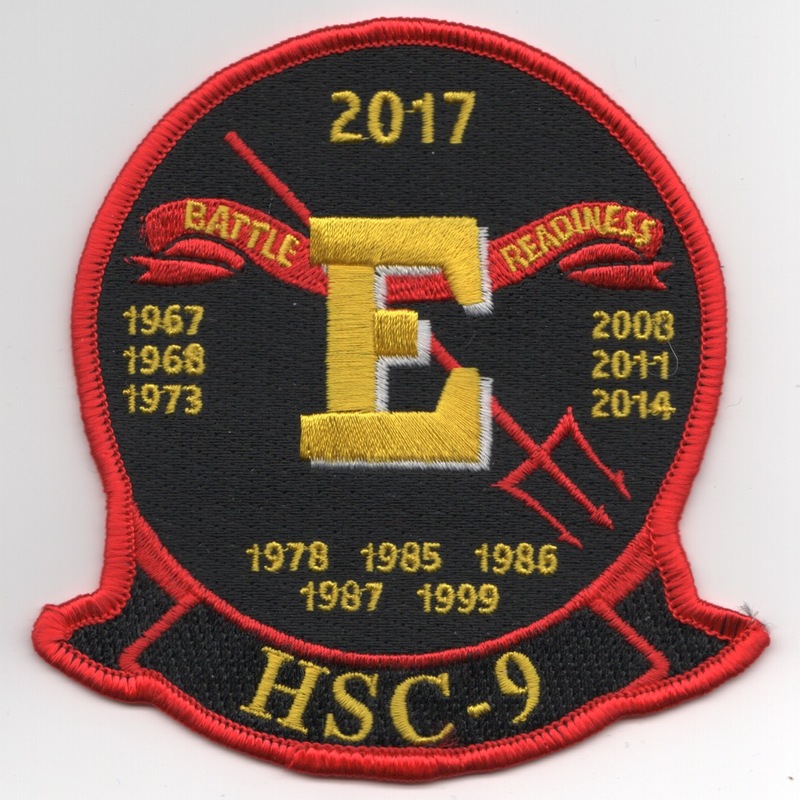 This is the commemmorative patch created for their awarding of the 2017 BATTLE 'E' READINESS and shows the other years they received this prestigous award. This patch does not come with velcro attached. HSC-9 is a United States Navy helicopter squadron based at Naval Air Station Norfolk, Norfolk, Virginia. They are attached to Carrier Air Wing Eight and deploys aboard USS�George H.W. Bush�(CVN-77). HSC-9 was redesignated from HS-3 on 1 June 2009. 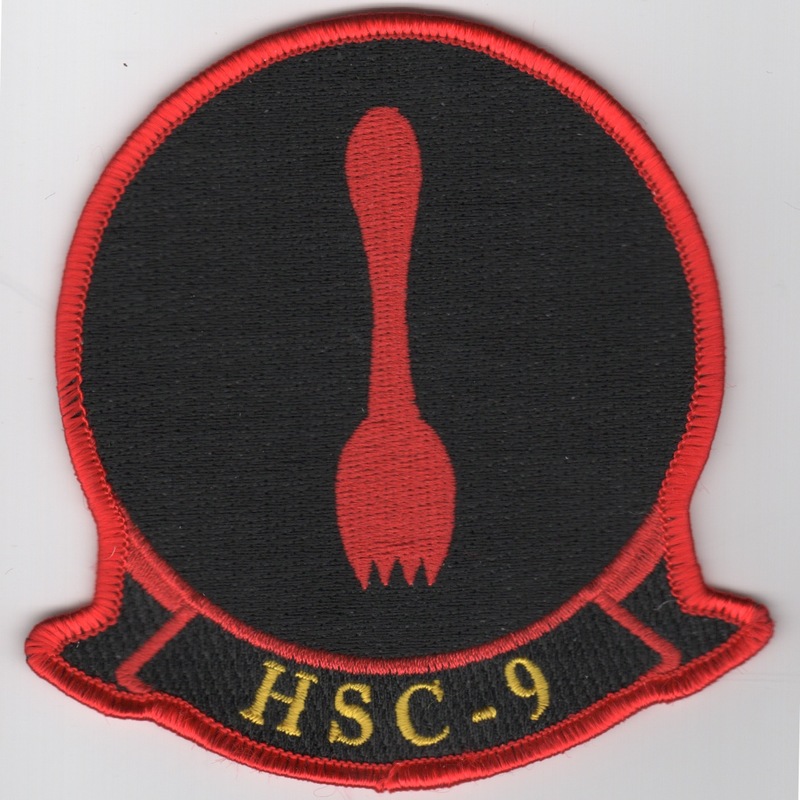 This is the black version of their squadron patch showing the "SPORK" (Spoon/Fork combination) and does not come with velcro attached. HSC-9 is a United States Navy helicopter squadron based at Naval Air Station Norfolk, Norfolk, Virginia. They are attached to Carrier Air Wing Eight and deploys aboard USS�George H.W. Bush�(CVN-77). HSC-9 was redesignated from HS-3 on 1 June 2009. 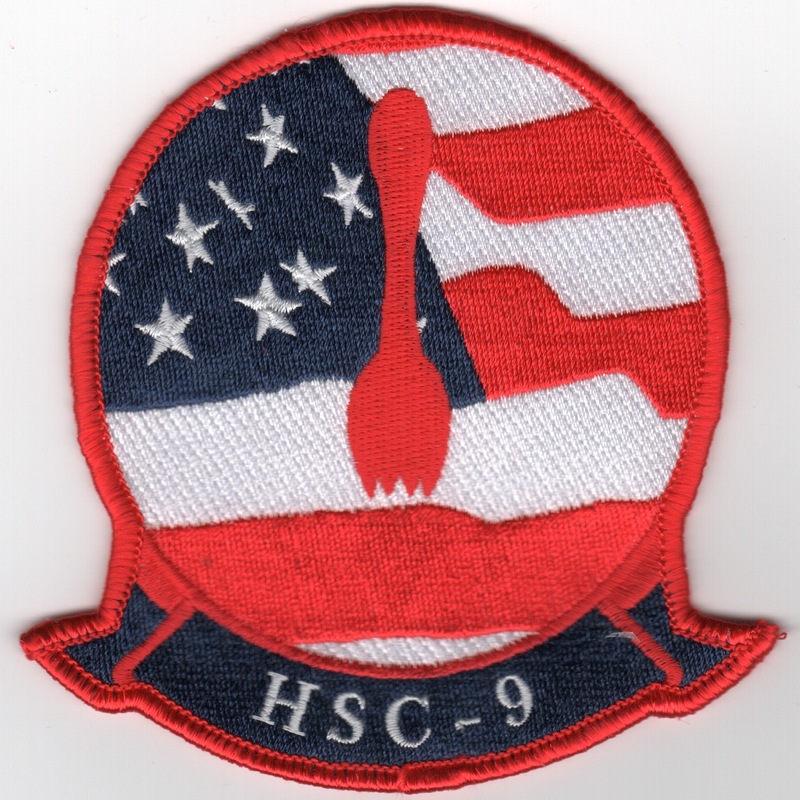 This is the Red/White/Blue version of their squadron patch showing the "SPORK" (Spoon/Fork combination) and does not come with velcro attached. HSC-9 is a United States Navy helicopter squadron based at Naval Air Station Norfolk, Norfolk, Virginia. They are attached to Carrier Air Wing Eight and deploys aboard USS�George H.W. Bush�(CVN-77). HSC-9 was redesignated from HS-3 on 1 June 2009. Their primary mission is to employ the versatility of the MH-60S helicopter to support the battle group commander's objectives, with emphasis on Anti-Surface Warfare (ASUW), Combat Search and Rescue (CSAR), support of Special Operations, and Vertical Replenishment (VERTREP). Secondary missions include Anti-Ship Missile defense and Medical Evacuation (MEDEVAC). 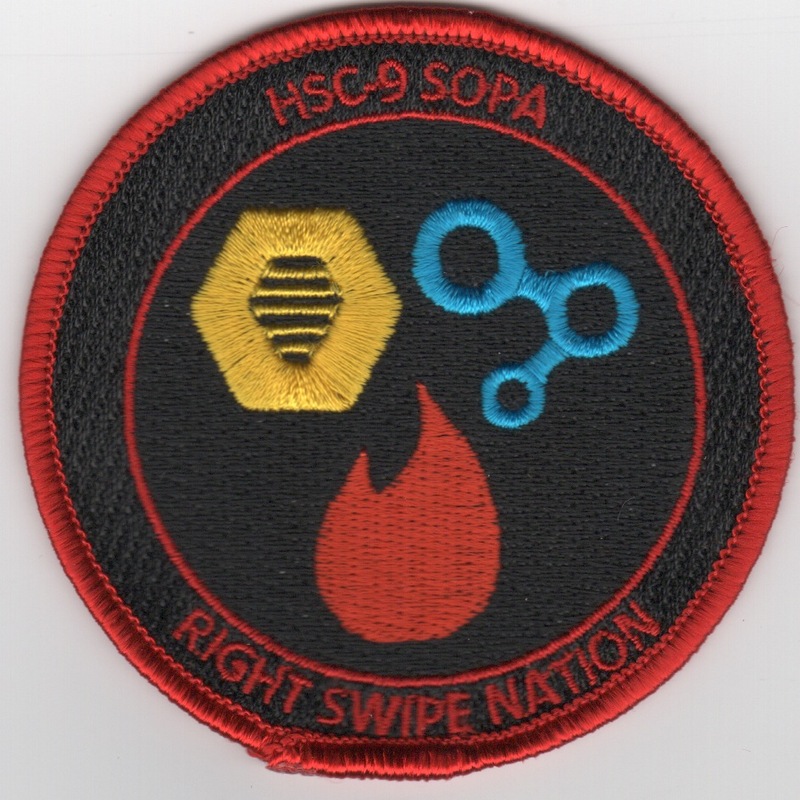 This is the 'SOPA' patch created, but for whom? It says "Right Swipe Nation" along the bottom and does not come with velcro attached. HSC-9 is a United States Navy helicopter squadron based at Naval Air Station Norfolk, Norfolk, Virginia. They are attached to Carrier Air Wing Eight and deploys aboard USS�George H.W. Bush�(CVN-77). HSC-9 was redesignated from HS-3 on 1 June 2009. Their primary mission is to employ the versatility of the MH-60S helicopter to support the battle group commander's objectives, with emphasis on Anti-Surface Warfare (ASUW), Combat Search and Rescue (CSAR), support of Special Operations, and Vertical Replenishment (VERTREP). Secondary missions include Anti-Ship Missile defense and Medical Evacuation (MEDEVAC). This is the 'JOPA' patch created for the Junior Officers and does not come with velcro attached. HSC-9 is a United States Navy helicopter squadron based at Naval Air Station Norfolk, Norfolk, Virginia. They are attached to Carrier Air Wing Eight and deploys aboard USS�George H.W. Bush�(CVN-77). HSC-9 was redesignated from HS-3 on 1 June 2009. Their primary mission is to employ the versatility of the MH-60S helicopter to support the battle group commander's objectives, with emphasis on Anti-Surface Warfare (ASUW), Combat Search and Rescue (CSAR), support of Special Operations, and Vertical Replenishment (VERTREP). Secondary missions include Anti-Ship Missile defense and Medical Evacuation (MEDEVAC). 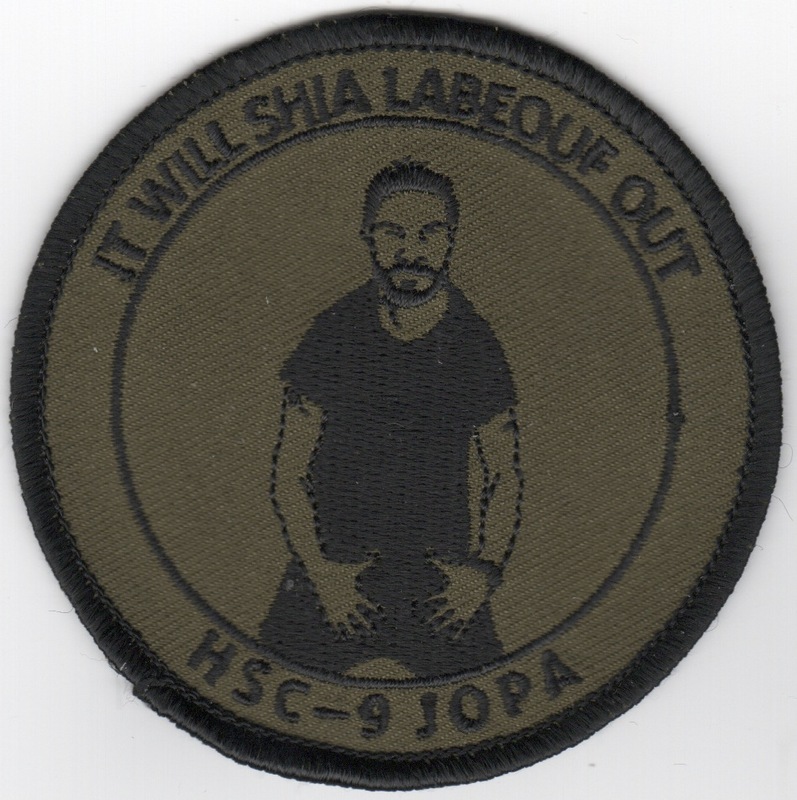 This is a subdued version of the 'JOPA' patch created for the Junior Officers that shows some guy named "Shia Labeouf"....whoever that is. For the HSC-9 history & mission, see above. This is the 2014 "Battle E" patch created when the squadron won this distinguished award. 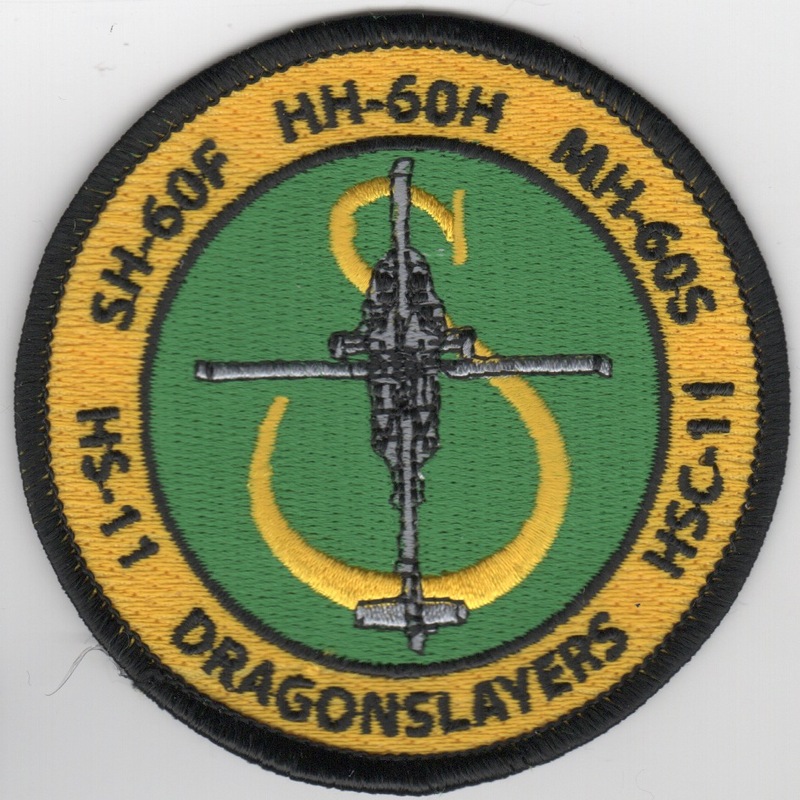 Helicopter Sea Combat Squadron 11 (HSC-11), also known as the Dragon Slayers, is a United States Navy helicopter squadron based at Naval Air Station Norfolk as part of Carrier Air Wing 1 operating MH-60S helicopters deployed aboard aircraft carriers. 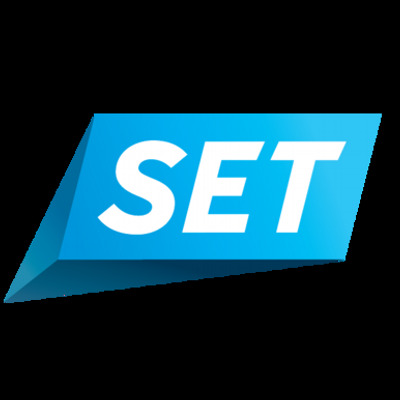 The squadron was established on 27 June 1957 at Naval Air Station Quonset Point as Helicopter Anti-Submarine Squadron 11 (HS-11) with Sikorsky HSS-1 Seabat helicopters. In 2016, HS-11 transitioned to MH-60S and re-designated as HSC-11. 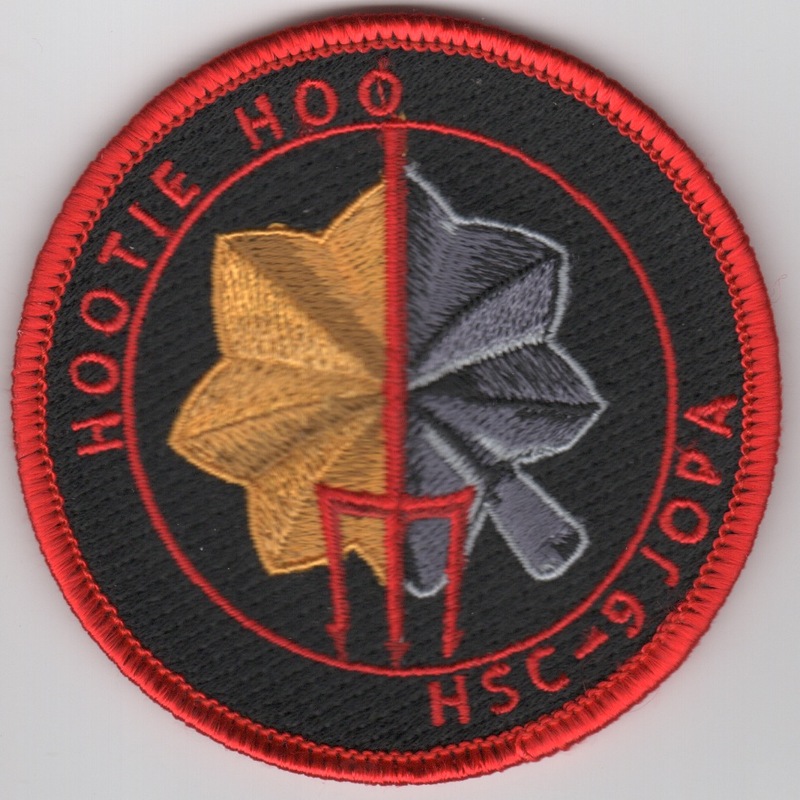 This is the color version of their squadron patch and does not come with velcro already attached. Helicopter Sea Combat Squadron 11 (HSC-11), also known as the Dragon Slayers, is a United States Navy helicopter squadron based at Naval Air Station Norfolk as part of Carrier Air Wing 1 operating MH-60S helicopters deployed aboard aircraft carriers. The squadron was established on 27 June 1957 at Naval Air Station Quonset Point as Helicopter Anti-Submarine Squadron 11 (HS-11) with Sikorsky HSS-1 Seabat helicopters. In 2016, HS-11 transitioned to MH-60S and re-designated as HSC-11. This is the desert version of their squadron patch and does not come with velcro already attached. Helicopter Sea Combat Squadron 11 (HSC-11), also known as the Dragon Slayers, is a United States Navy helicopter squadron based at Naval Air Station Norfolk as part of Carrier Air Wing 1 operating MH-60S helicopters deployed aboard aircraft carriers. 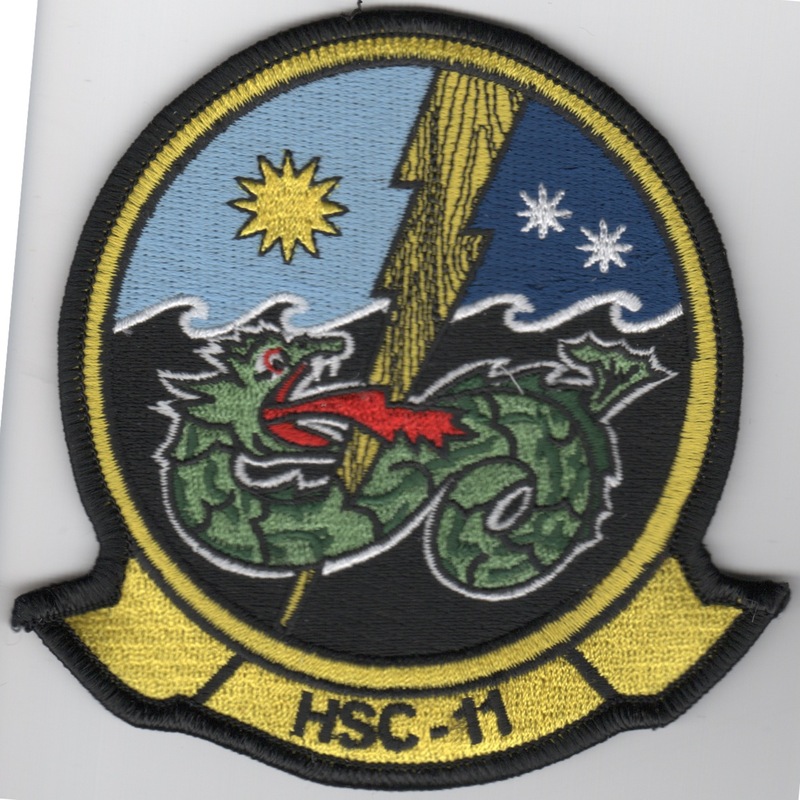 The squadron was established on 27 June 1957 at Naval Air Station Quonset Point as Helicopter Anti-Submarine Squadron 11 (HS-11) with Sikorsky HSS-1 Seabat helicopters. In 2016, HS-11 transitioned to MH-60S and re-designated as HSC-11. 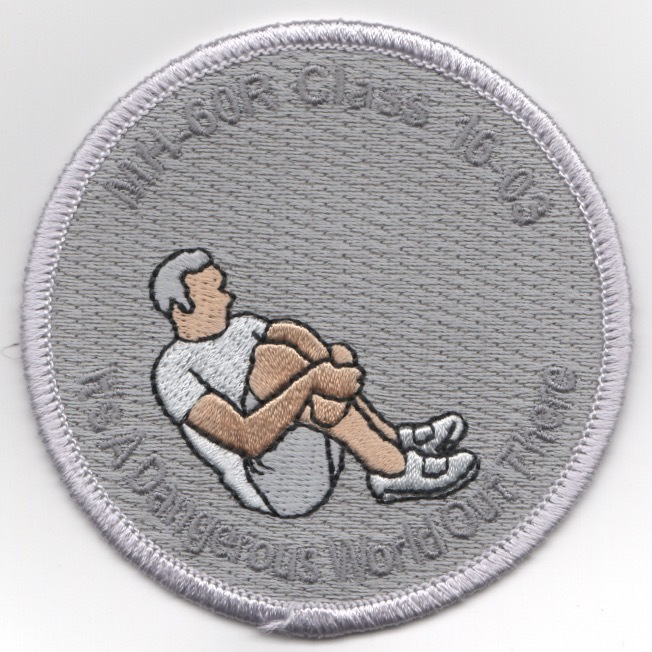 This is the subdued version of their squadron patch and does not come with velcro already attached. 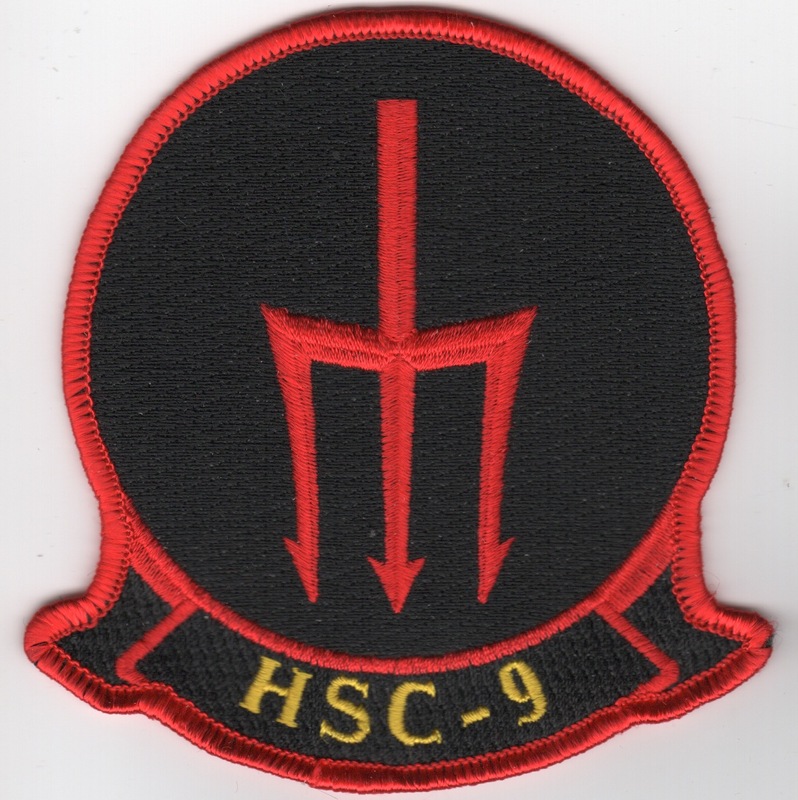 Use this link for the "Set of 3" HSC-11 squadron patches. It includes the Yellow/Black, the Desert and the Subdued versions of the patch and these do not come with velcro already attached. 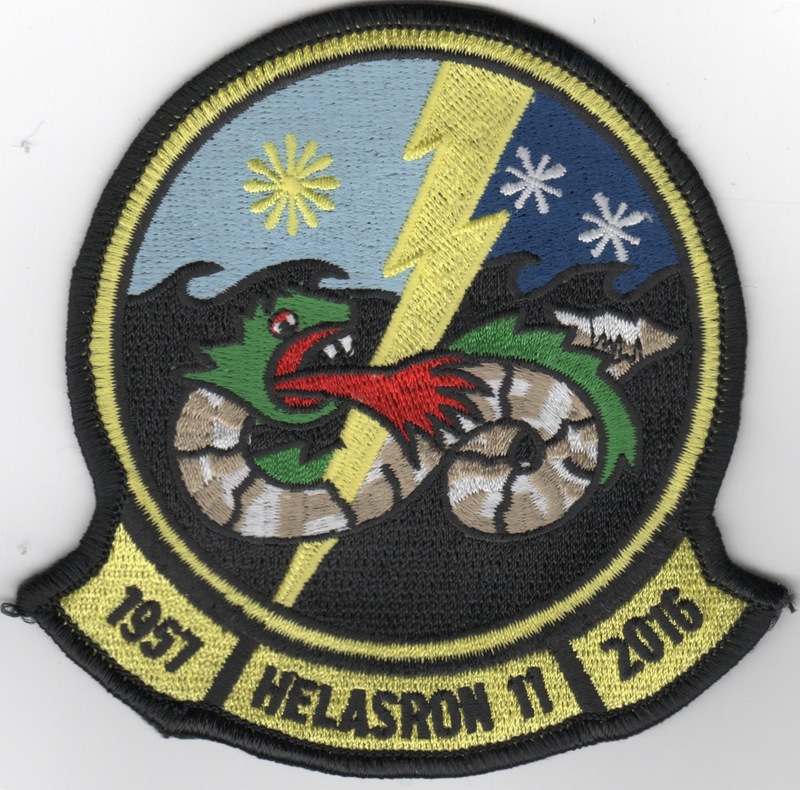 This is the decommissioning patch for the HS-11 Dragonslayers after 59 years of service. In 2016, HS-11 transitioned to MH-60S and re-designated as HSC-11. This patch does not have velcro attached. This is the helo "bullet" patch created by HS/HSC-11 to commemorate their renaming. In 2016, HS-11 transitioned to MH-60S and re-designated as HSC-11. This patch does not have velcro attached. 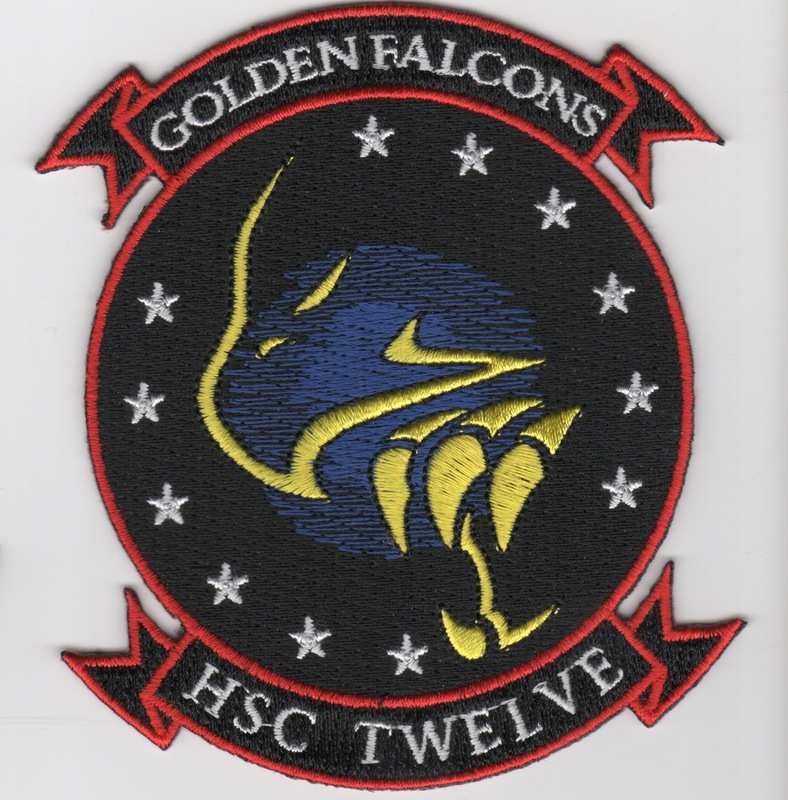 Helicopter Sea Combat Squadron 12 (HSC-12) Golden Falcons is a United States Navy helicopter squadron based at Naval Air Facility Atsugi, in Japan. The Golden Falcons are attached to Carrier Air Wing Five (2015) with the aircraft carrier USS�Ronald Reagan�(CVN-76). In early 2009, HS-2 Golden Falcons transitioned to MH-60S and re-designated as HSC-12. 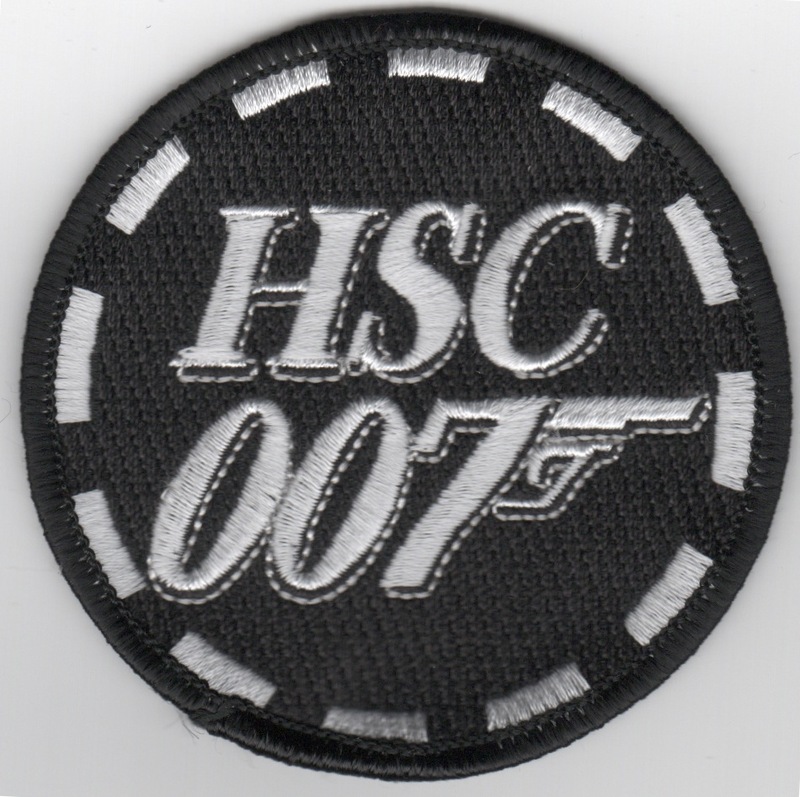 Homepage | Order HSC Patches!